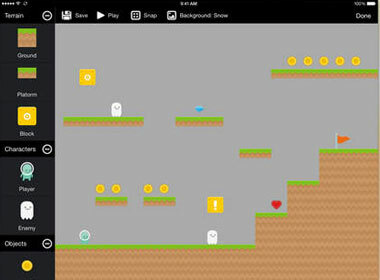 Tynker: a visual programming interface to code games and app. 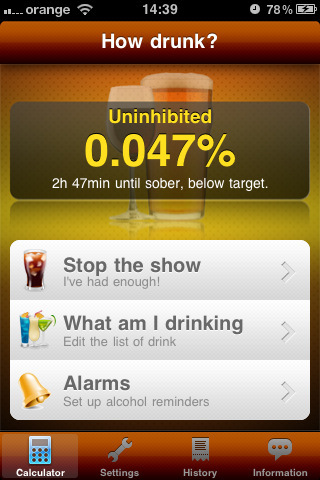 It has over 100 step-by-step coding tutorials. 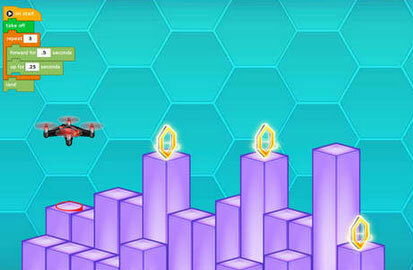 Toy Engine: this app lets you create side-scrolling games on your tablet. 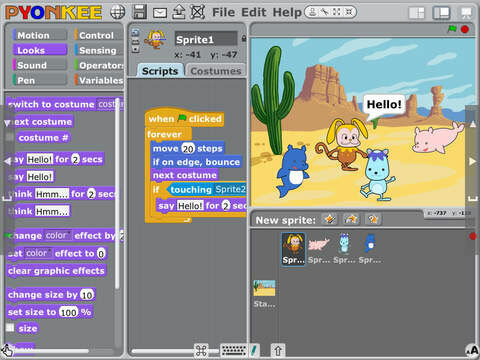 It teaches you about programming constructs such as functions and variables. Tickle: a visual programming interface for robots and drones. 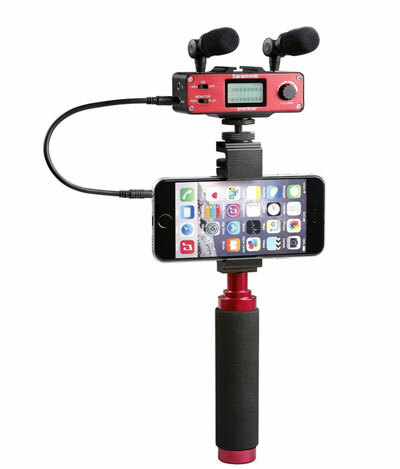 It is compatible with BB-8 Droid, Sphero robotic ball, Dash & Dot, and other smart toys. 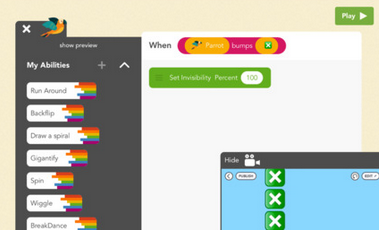 Pyonkee: based on Scratch, this app lets you use visual blocks to bring your ideas to life. It supports sharing via AirDrop, e-mail, and Dropbox. Hopscotch: lets you make your own games and publish them. It has many challenges to help you develop new skills. 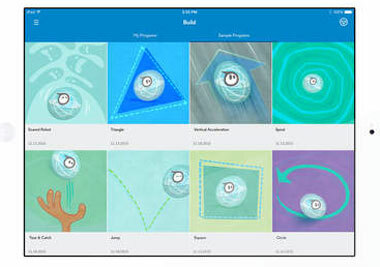 SPRK Lightning Lab: lets you build and share your own programs using a block-based programming interface. 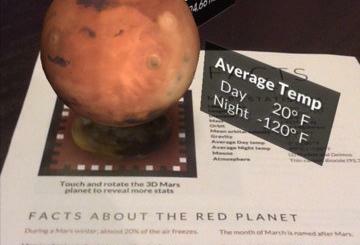 It also has a text-based code viewer. 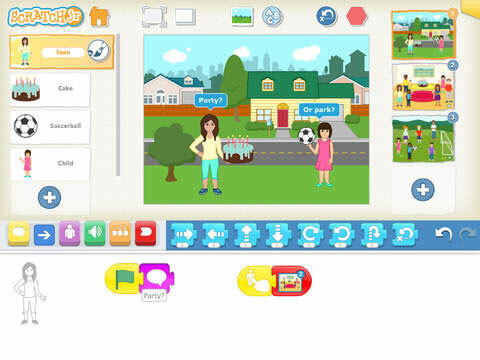 ScratchJr: this app was inspired by the Scratch programming language. 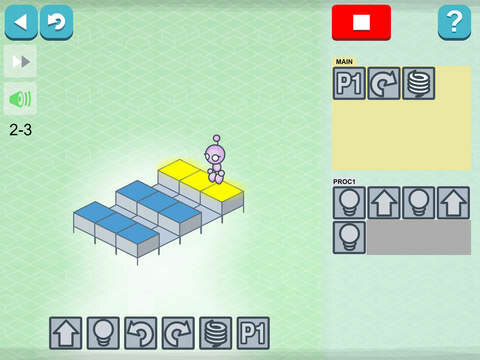 Your children can use graphical programming blocks to make characters move, jump, or dance. Lightbot: a programming puzzle game that helps you understand procedures, loops, and conditionals. It has 50 levels. Have you found better visual programming apps for iOS? Please share them here.